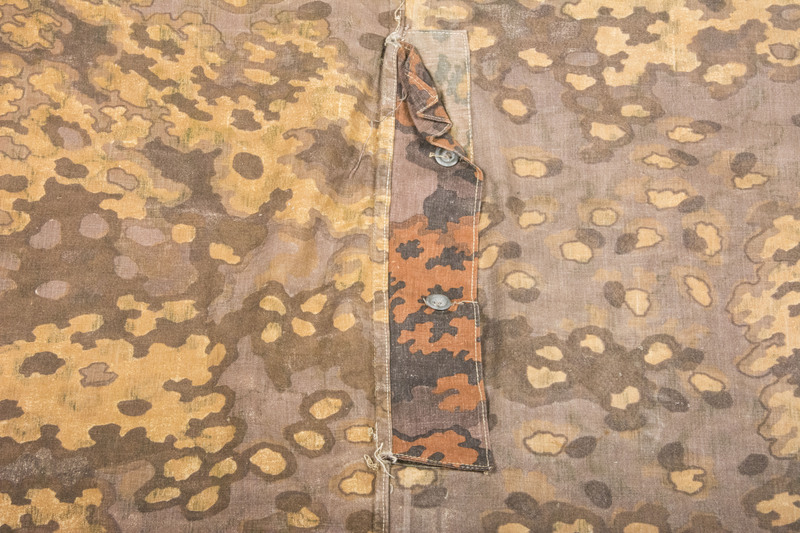 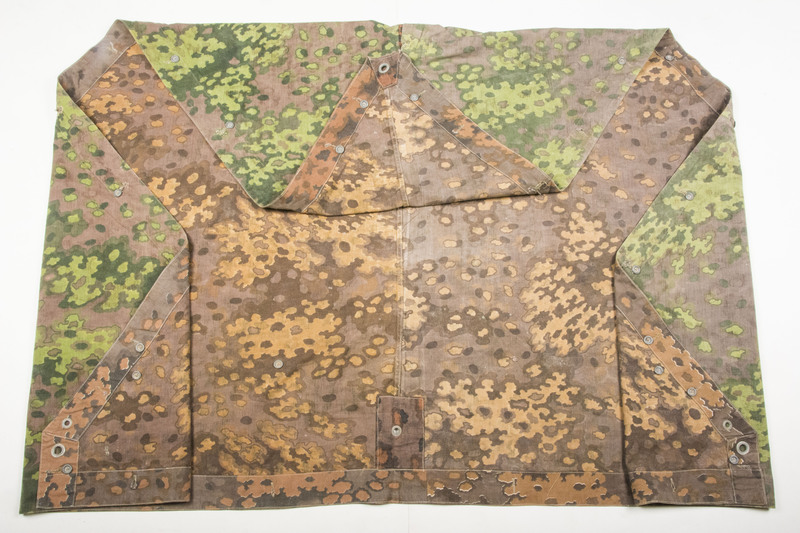 Minty late war Waffen-SS Zeltbahn in Eichenlaubmuster or Oak A,B ánd mostly C camouflage. 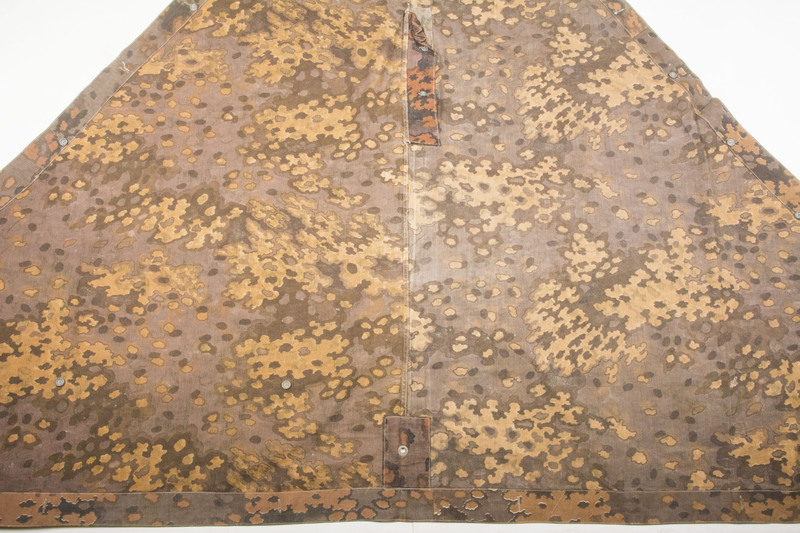 On the top corner and the head opening a few bits of Oak A can be seen. 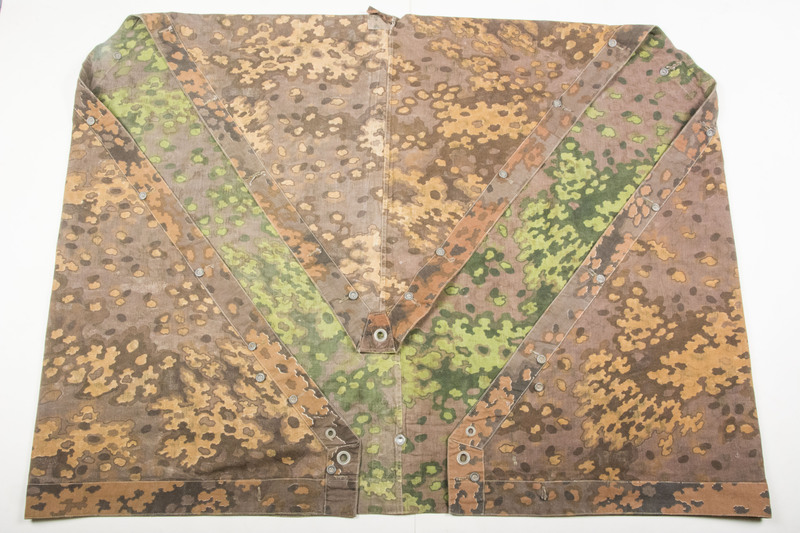 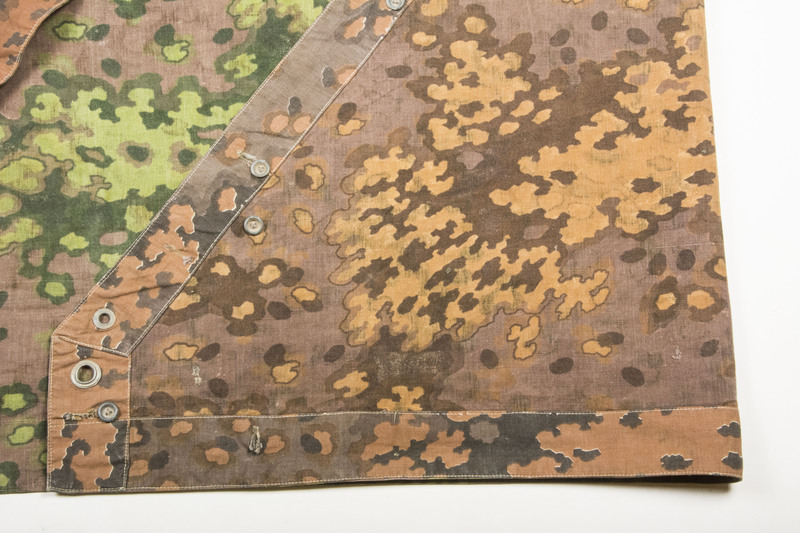 The camouflage on the right green side of this zeltbahn is said to be Oak C, which is slightly different to B. Oak C is mostly unknown but gets accredited in Waffen-SS Camouflage Uniforms . 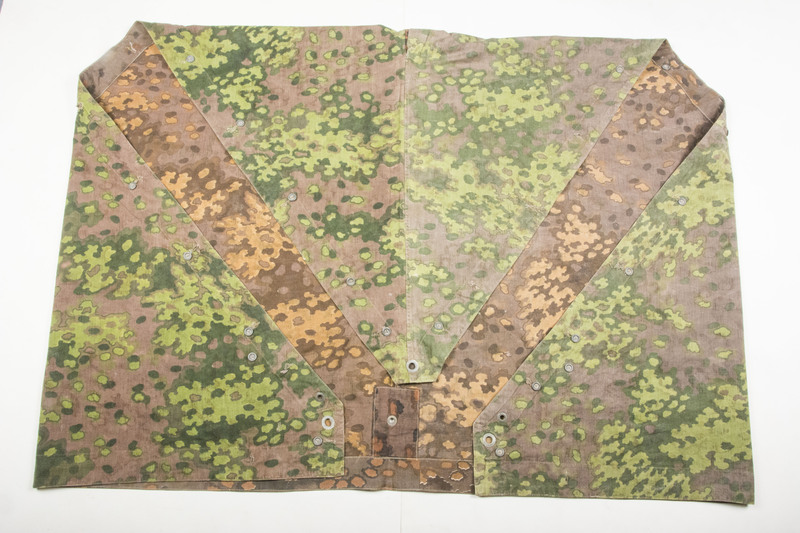 The Zeltbahn is in good used condition and has most if not all of its originally sewn buttons. 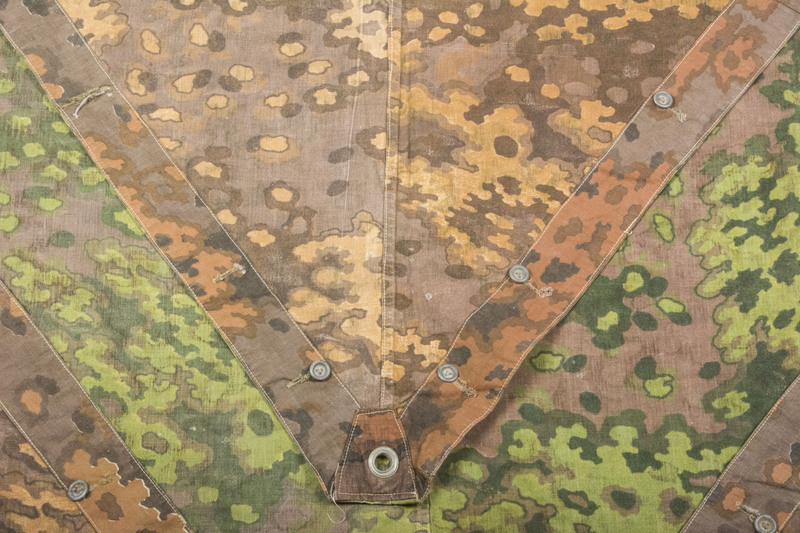 The construction of the zeltbahn shows signs of late war simplification such as simplified button holes, less grommets and a simplified head hole. 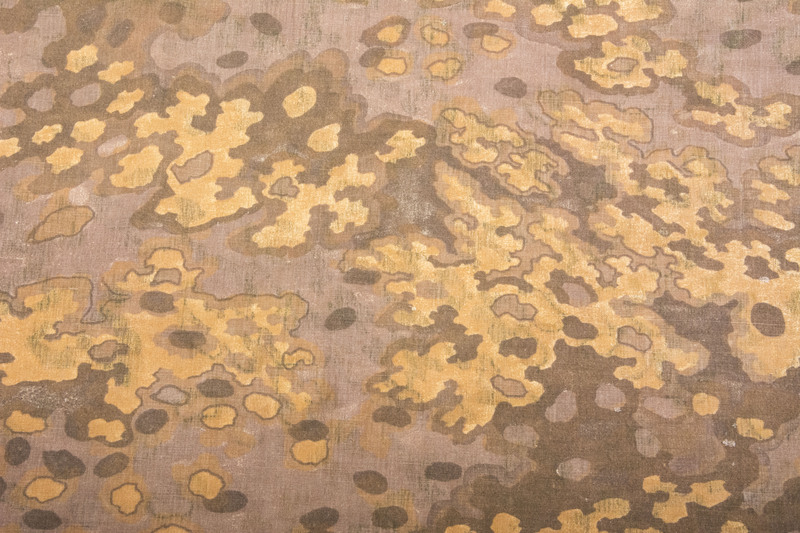 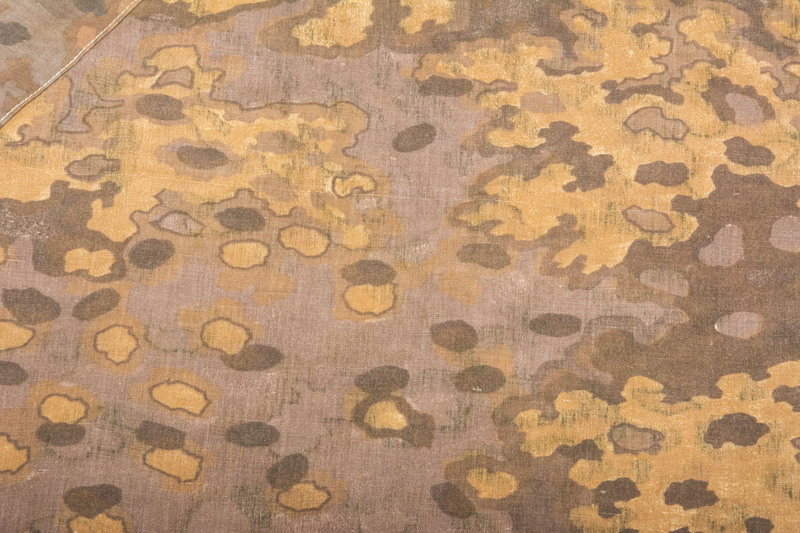 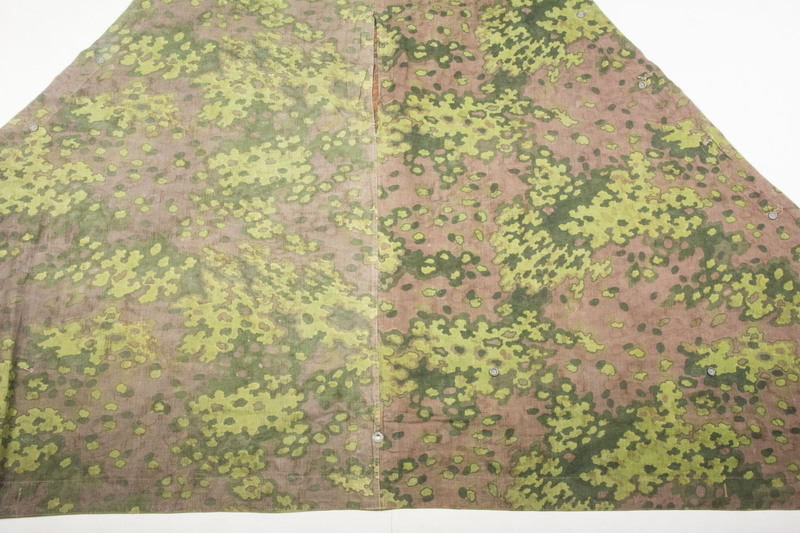 The camouflage material used is all in very good, bright and vibrant condition. 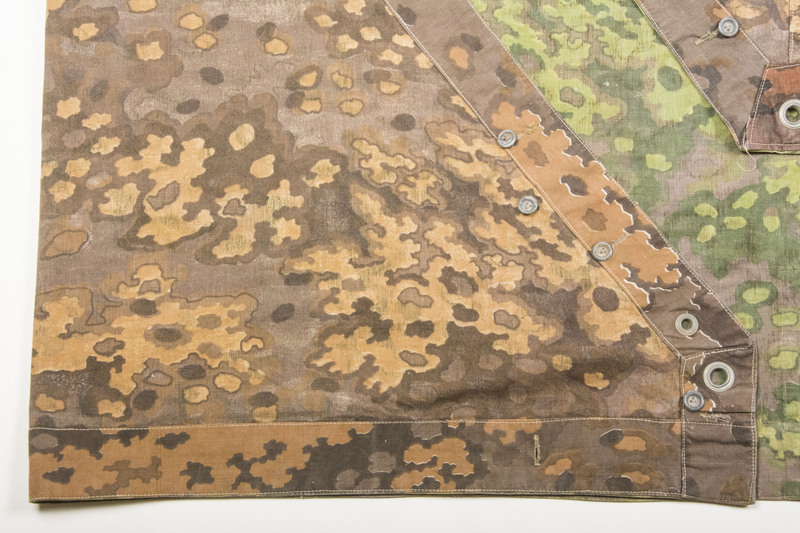 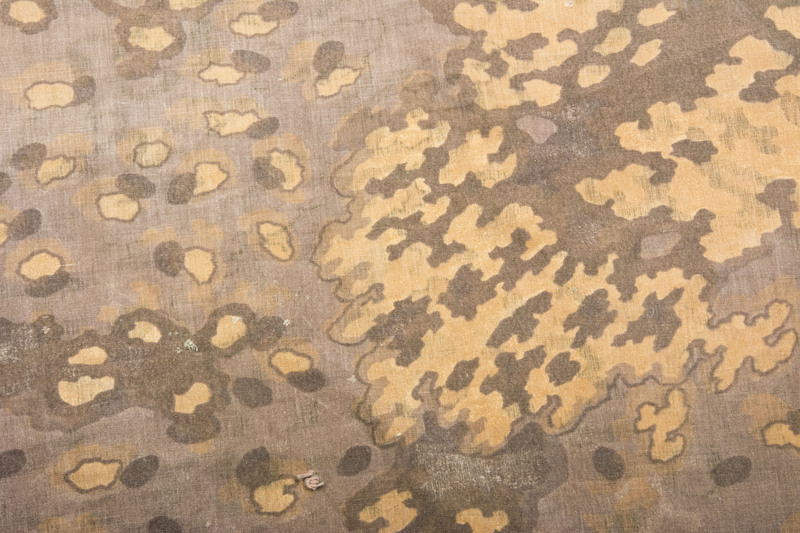 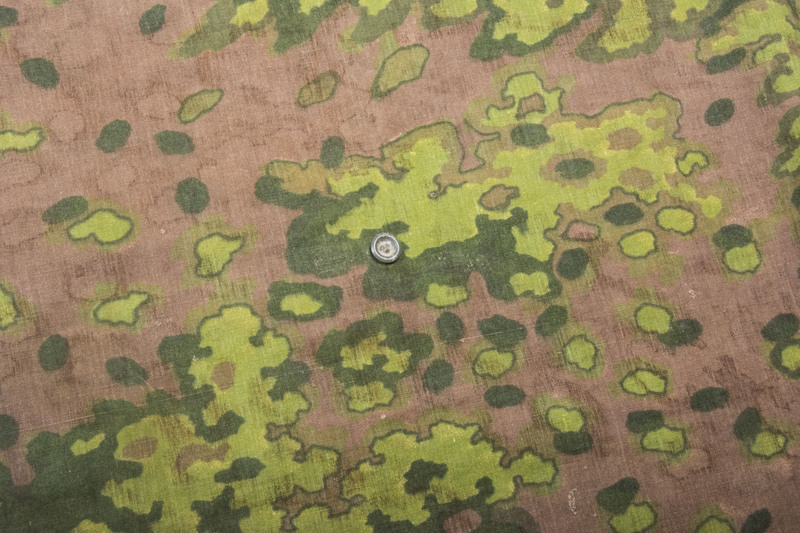 This is one of the rarest Waffen-SS Zeltbahns in Oak “C” Camouflage!